Xavier Lemaire and Daniel Kerr from UCL, and Yachika Reddy from SEA, recently met with Maurisha Hammer and Zwelethu Zulu, representatives from the Cape Town Municipal Electricity Department’s Electrification Division, to discuss the city’s approach to the electrification of informal settlements, and the challenges facing informal settlement electrification across South Africa. 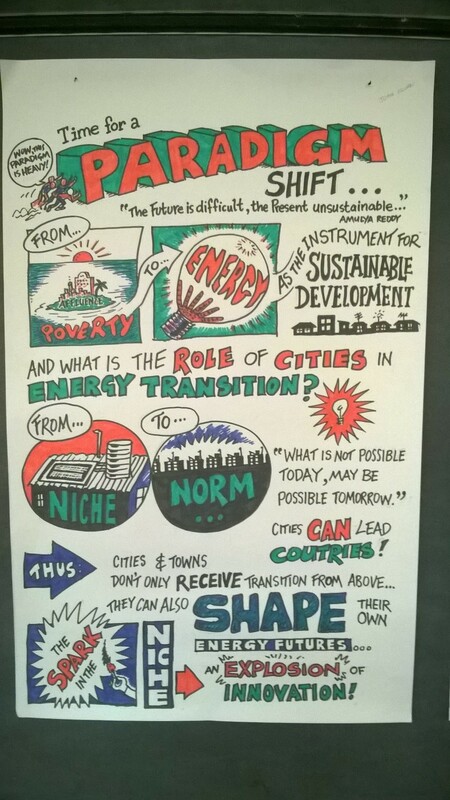 This approach is in contrast to other countries’ and cities’ experiences with informal settlement electrification. For example, while cases exist for “slum” electrification in India (notably Chennai and Mumbai) and Thailand (Bangkok), these are processes dependant on the formalisation of property rights for informal dwellers. Part of the rationale behind the Cape Town approach is to do with the constitutional mandate for municipalities in South Africa to provide basic municipal services (electricity, water, sanitation, and refuse management) to all inhabitants of the municipality. Whilst funding constraints prevent the fulfilment of this mandate in many municipalities, Cape Town seems to be succeeding in doing so through this program. The electrification of informal dwellings in the backyards of formal housing developments is a recent initiative. Two pilot projects have been successfully completed in what many regard as a first-of-its-kind program. 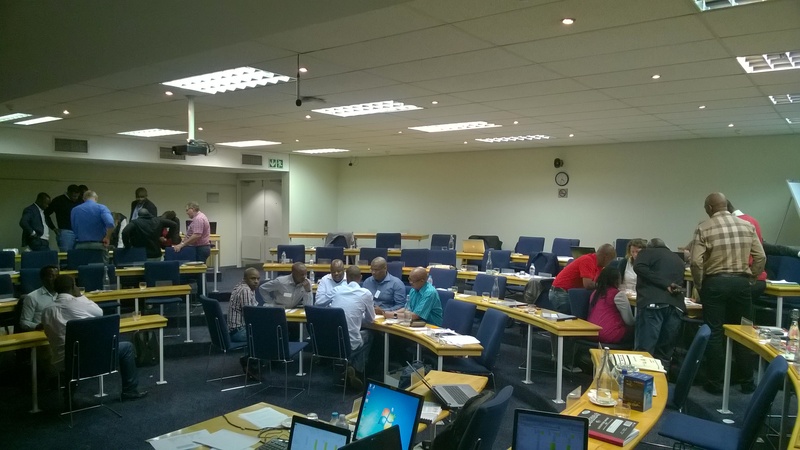 The main challenge with these projects is the reinforcement of the existing reticulation network serving these properties. In most cases the additional load posed by backyard dwellings makes it necessary to replace the backbone infrastructure. At this stage the programme is restricted to backyard dwellings on properties owned by the City (rental housing) due to legal restrictions around enhancing private properties with public funds. 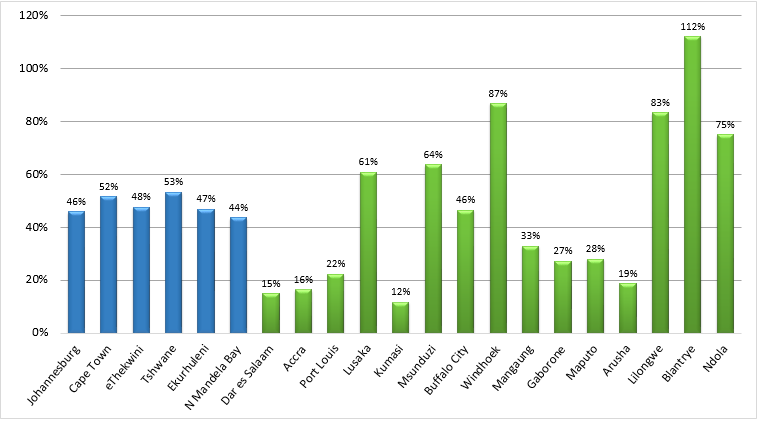 South African municipalities generate significant income from electricity distribution, and are responsible under their mandate to electrify urban areas, with rural areas under the jurisdiction of ESKOM, the national utility. 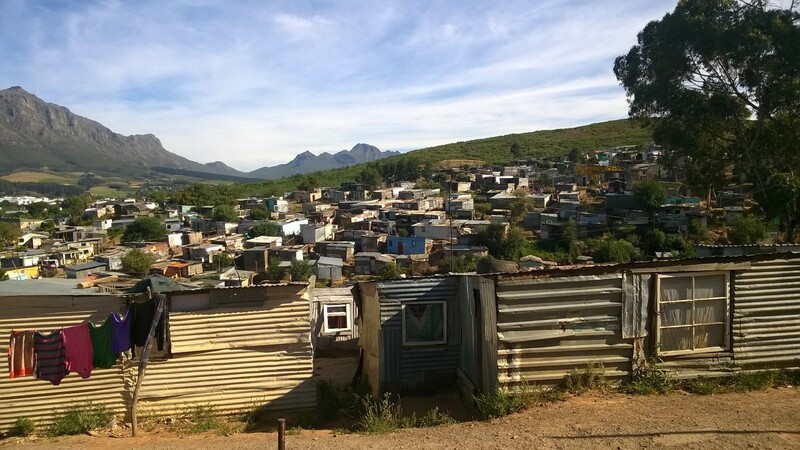 Given the low rates of return for informal settlement electrification, for less affluent South African municipalities, replicating the Cape Town experience may prove challenging. 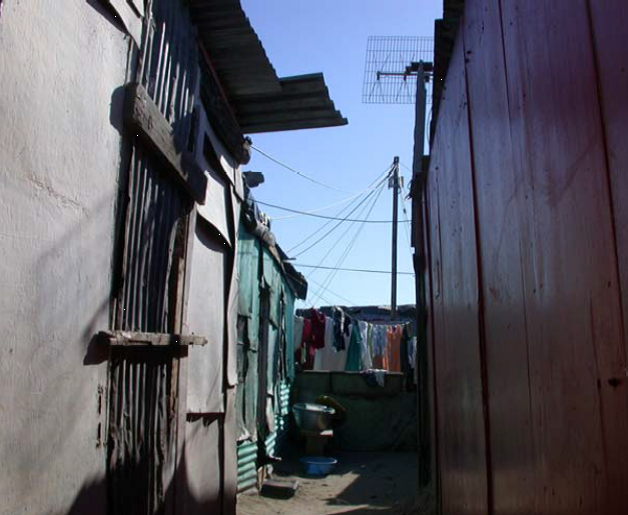 While the electrification of informal settlements and backyard dwellings may not make financial sense if viewed with too narrow a perspective, the City emphasises wider benefits such as better living conditions, economic stimulation, health and safety, job creation and education opportunities. In view of the challenges faced with the delivery of free formal housing due to growing demand faced with urbanisation and historic spatial planning legacies amongst others in formal housing, informal housing has an important interim role to play and will not disappear overnight. 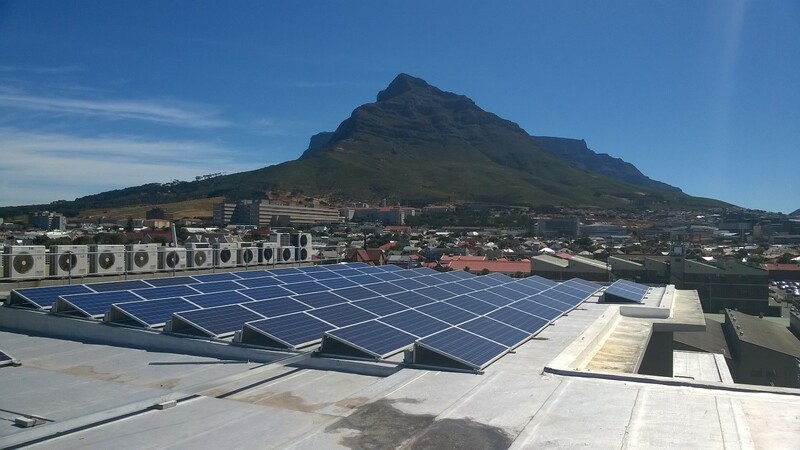 It is with this knowledge that the City Of Cape Town decided more than a decade ago to provide electricity to those living in informal settlements. 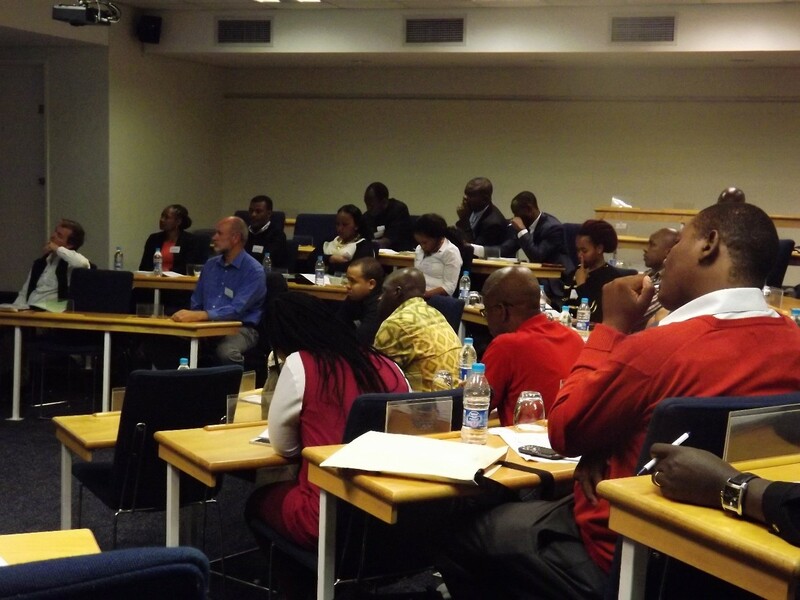 In all, the Cape Town experience in informal electrification has useful implications for the SAMSET project. The management of informal electrification projects by the municipality has served to mitigate a number of risks inherent in informal settlement electrification, and this experience -under a number of conditions – could be cross-applied to great effect in other metropolitan areas in developing countries globally, particularly in the Sub-Saharan African context. This entry was posted in Sustainable Energy Africa, UCL - Energy Institute and tagged Backyarders, Cape Town, Cape Town Municipal Electricity Department, City of Cape Town, Electricity Services, Electrification, Formalisation, Funding, Informal Settlements, Reticulation Network Reinforcement, SAMSET, Sanitation, Section 21, South Africa, Sustainable Urbanisation, Upgrading, Urban Energy Transitions, Urban Services, Water on December 23, 2014 by danielkerrucl. 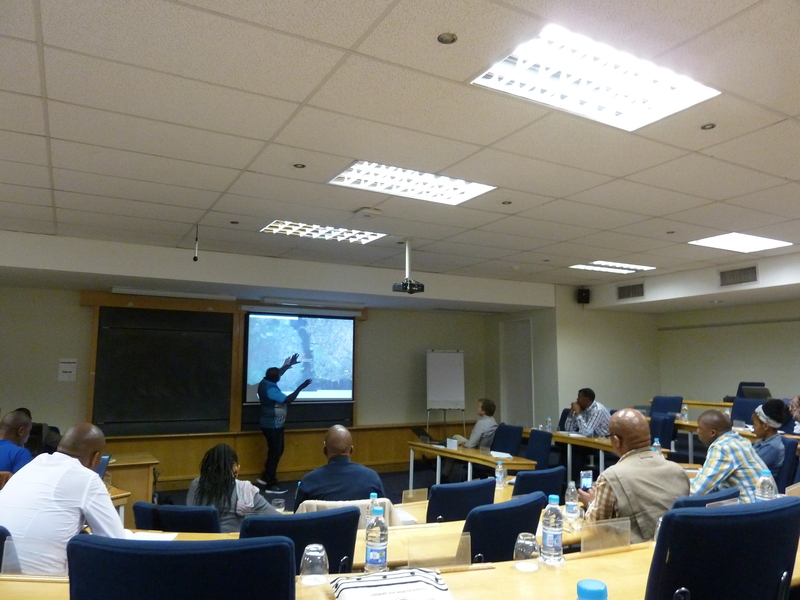 SAMSET project team members, municipal project partners and attendees from the CPD course “Energy and Sustainable Urban Energy Transitions in Africa” visited Enkanini on the 19th November 2014. Enkanini is an informal settlement in Kayamandi which was established in 2006, Stellenbosch, South Africa, and as part of the CPD course team members visited the iShack sustainability project, based in the settlement. iShack is an organisation established in 2010, through collaboration with residents of Enkanini and the University of Stellenbosch’s Sustainability Institute, promoting sustainability in the settlement across a wide range of applications. 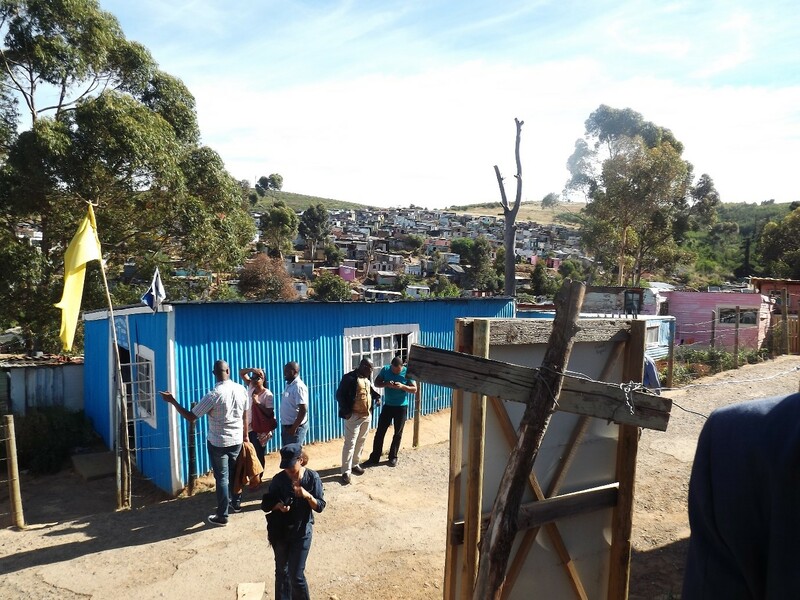 The “demonstration” shacks run by the project incorporate a number of energy-efficient and sustainable technologies. Improved insulation and building materials were an early focus of the project, with leftover/recycled materials being used to insulate walls and ceilings, as well as innovative layered wall constructions offering cooling in the daytime without the use of air conditioning, improving the indoor environment. Biogas is another focus of the project, and biogas digesters utilising human solid waste are installed in the demonstration shack bathrooms, enabling cooking from biomethane. Water is another focus of the project. 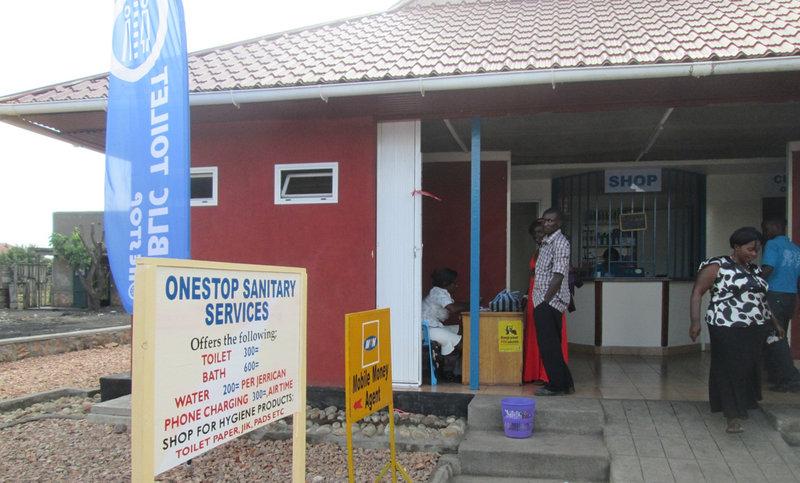 The project is expanding dissemination of grey water flushing for public bathrooms in the settlement, firstly in 2011 through gravity flushing. This approach has met with some resistance from residents due to the lack of convenience of the system, and the project is currently experimenting with upgraded mechanical flushing and collection systems for grey water and rain water. Finally, the project also runs an off-grid solar home system business for residents of the settlement, and is aiming to develop this as a franchise model for export to other informal settlements, this being the first of these franchises. Solar home systems consisting of a 70Wp panel, two indoor LED lights, one TV, an outdoor spotlight and phone charging facilities are provided to residents on a fee-for-service basis, with customers paying an initial installation fee of R200, and monthly installments of R150 thereafter to use the system. Users can also choose to up-rate their panels to cover other appliances such as a radio or television. iShack takes responsibility for operation and maintenance of the system, and since 2011 over 700 systems have been installed out of 2,500 households in the settlement under the project. This entry was posted in UCL - Energy Institute and tagged Biogas, Energy, Enkanini, Fee-for-Service, Franchise Models, Greywater, Informal Settlements, Informality, Insulation, iShack, LED Lighting, Off-Grid, SAMSET, Solar Home Systems, Stellenbosch, Sustainable Buildings, University of Stellenbosch, Water on December 20, 2014 by danielkerrucl.